A view towards Wasdale from Bleng Fell. The summit of Scafell Pike is just lost in the clouds, although Scafell is clear. 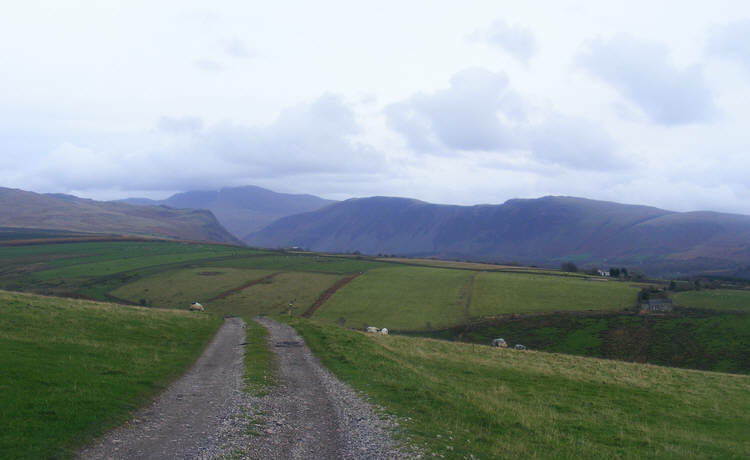 The fells above the Wasdale Screes are to the right, while the crag to the left is Buckbarrow, with the slope up to Seatallan to its left.